Get to know Bolingbrook, just 25 minutes southwest of downtown Chicago. Our family-friendly, walkable neighborhood puts you minutes away from major expressways, public transit, and all of the essential community shops and restaurants. 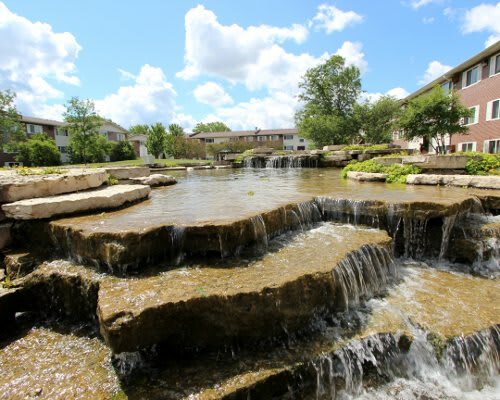 Riverstone Apartments is less than a mile to Bolingbrook Commons Shopping Center. It’s a quick walk to casual restaurants, services, and errand stops. You’ll have access to major retailers with The Promenade Bolingbrook only 10 minutes away. The whole household, be it one or more, will love living near to many neighborhood parks, especially Plimmer Park, just a block away from our community. Centrally located in the greater Chicago area, Bolingbrook is easily accessible from CTA, Metra, and Pace buses and trains. Commuting throughout the region is easy here. We are less than a mile from I-55, with fast access to I-88 and I-355. Bolingbrook’s major employers include Weather Tech, Xerox, and Adventist Bolingbrook Hospital. Residents with families will appreciate the walking distance to local schools and the short drive to colleges and universities.